Dribble, dribble, jump shot! The Orbee-Tuff Basketball will have your pup running up and down the court and driving to the hoop. This toy is great for rolling, bouncing, chasing and floating! It's even designed with a hole in the center that's perfect for your dog's favorite treats. The basketball is sized for larger dogs and can even be recycled when your pal's basketball season is over. 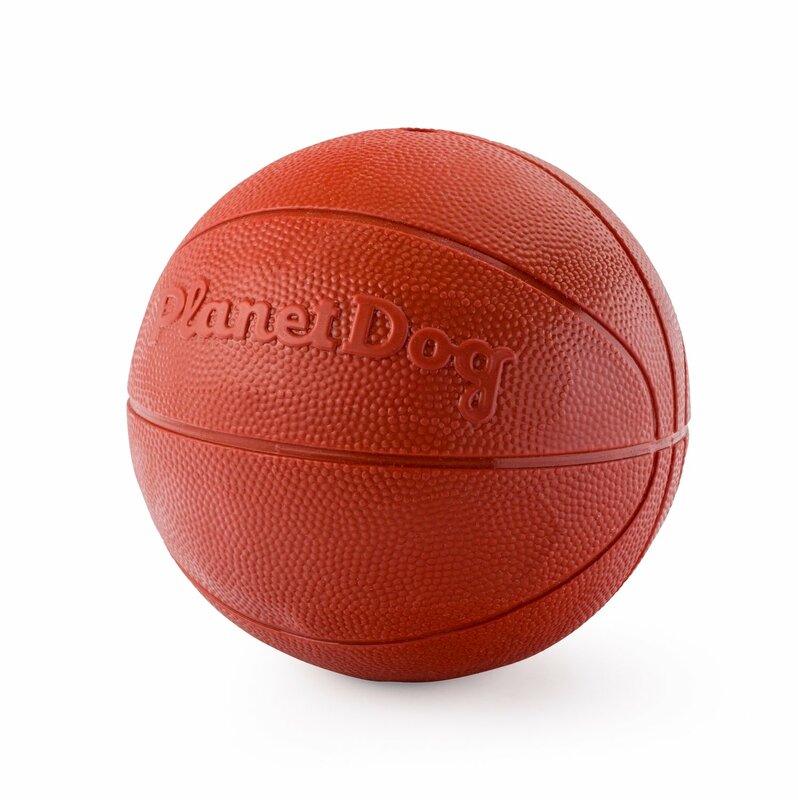 Your canine companion is going to have a ball playing with her new Planet Dog toy! Made out of recyclable and non-toxic material, so you don't have to worry about your pal's health, while he plays. Buoyant and bouncy ball is perfect a variety of outdoor environments including the lake, pool and ocean. Especially suitable for larger dogs who can push the ball with ease. Designed with a hole in the center to put your dog's favorite treats. This fetch toy is proudly made in the USA.